Many lawyers today are thinking about going solo or starting their own firms. But running a law firm is like running a business, which involves much more than providing legal services. You have to think about billing and business management, when to accept and reject clients, and maintaining a calm composure under a stressful situation. What goes into planning to start your own practice, what essential items should you purchase first, and should you even go out on your own right now? 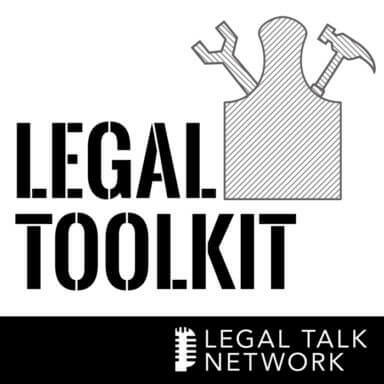 In this episode of The Legal Toolkit, Heidi Alexander interviews Ben Carter, a Louisville attorney who started a solo practice after spending years at the Kentucky Legal Aid Society, about his experience and advice for others. He recommends newly solo lawyers keep overheads low, run the firm like a startup business, and spend some time in a bigger law firm first (if possible) to acquire the substantive and marketplace experience needed. Ben then discusses what lawyers would need to purchase first: a high end paper scanner, a computer, and malpractice insurance. The interview is packed with useful advice like how much money you might need to save before starting your firm and why choosing the right niche can make up for many other missteps. Tune in to hear this any many more technology, process, and life tips from a successful solo lawyer. After spending many years defending homeowners from foreclosure for the Kentucky Legal Aid Society, Louisville attorney Ben Carter decided to start a solo practice. In addition to running a solo practice, Ben co-hosts the podcast “Let’s Start a Firm,” in which they tackle topics like why an attorney might want to start their own firm, loan forgiveness, office space, office supplies, banking, trust accounting, entity selection, insurance, technology, legal research and writing, and more. Heidi Alexander: Hello and welcome to a new episode of the Legal Toolkit, here on the Legal Talk Network. I’m your host, Heidi Alexander. I’m also a law practice advisor with Massachusetts LOMAP. LOMAP provides free and confidential law practice management consulting services to Massachusetts attorneys. For more information on LOMAP’s offerings, visit our website at MassLOMAP.org. Here on the Legal Toolkit, my co host, Jared Correia and I, provide you with a new tool each month to add to your own legal toolkit so that your practices will become more and more like best practices. Before we get started, we’d like to thank our sponsor. Amicus Attorney’s world leading practice management solution allows you to do more, bill more, and go home early. It serves as the hub to your practice and Amicus customers report that they save over 8 hours and bill an extra 5 hours every week. Built by lawyers for lawyers, Amicus has two award winning solutions: Amicus Premium with the unique client portal, and the exciting Amicus Cloud with seamless email integration. To learn more, visit AmicusAttorney.com. We want to thank our sponsor Scorpion, which delivers award winning law firm web design and online marketing programs to get you more cases. Scorpion has helped thousands of law firms just like yours attract new cases and grow their practices. For more information, visit ScorpionLegal.com. Today we’ll be chatting about what you need to know about starting up a law firm, and my guest would be the one to know, having spent a number of years defending homeowners from foreclosure for the Kentucky Legal Aid Society. My guest, Ben Carter, now operates his own solo practice out of Louisville, Kentucky, and co-hosts the “Let’s Start a Firm” podcast. In 13 episodes, Let’s Start a Law Firm has tackled topics ranging from why an attorney might want to start their own firm, loan forgiveness, office space, office supplies, banking, trust accounting, entity selection, insurance, technology, staffing, legal research and writing, as well as cubic wombat poop. Okay. if you’re interested in that last one, you’ll just have to listen to the podcast. Today I’m going to pick his brain to find out what he’s learned about starting a law firm through his own experience and podcasting about it. He’ll be joining us today from his own office. Thanks for being my guest today, Ben. Ben Carter: My pleasure, Heidi, thanks for the invite. Heidi Alexander: Let’s start off by tackling the questions of whether and why to start off a law practice today. With all the competition out there now among not only attorneys but also non lawyer professionals – so take for example, Washington state’s limited lawyer licensing program – as well as technology doing much of what was previously an attorney’s job. Talk to me about what goes into making a decision to start your own law firm. Ben Carter: For me it was a two stage process, Heidi. I was working at the Legal Aid Society helping homeowners facing foreclosure and talking with those folks at our twice a week legal clinics. Sitting across the table from them, they would say, “Look, I’m just here for a little bit of advice but I already have an attorney.” And I would say, “Okay, tell me more about that.” And they would tell me that they had sent $2,500, $2,700, $3,000 to an “attorney,” out in Arizona or Nevada or California, any immoral places like that. And basically signing up for “legal help,” from these fraudsters and they would pay $3,000 for legal help. And it occurred to me at that time that there was probably a market for somebody providing credible legal help to local people here in Kentucky. So I started to look at that a little bit more and explore whether or not that was a viable business model. When I decided to leave legal aid, I went to go work for some plaintiffs attorneys on a legal malpractice case and after wrapping that off I was planning on starting my own firm. They asked me to stay on for a couple of more years and then when that gig ended, that’s when I launched Ben Carter law. Heidi Alexander: That sounds interesting, you had a unique route into the practice. And so for you, it sounds like you had a timeframe. It was laid out for you. But in thinking about starting off a firm, let’s say you have the leeway to plan to start off a firm. What’s a suggested timeframe? If you’re going to do it the right way and you’ve got some time to plan it out, can you do it in a matter of weeks, months or should you take a year to start planning it right into a business plan? What do you think about that. Ben Carter: I wouldn’t suggest a business plan necessarily. I think what I would say is you should probably practice law always with the mindset that one day you may want to go out on your own. Whether you’re at a biglaw firm right now, whether you’re at a public institution or governmental agency. I think the more you can have that entrepreneurial spirit from the outset, even when you’re at law school, the better. Because then you’re going to make connections with people, learn as much as you can about how their business operates, what kinds of practices are available to people. So give yourself as long a runway as possible. If you’re an associate at a biglaw firm, you’re probably not planning on leaving any time soon. I would give yourself a year when you start thinking about that. Explore and start thinking about pricing and what kinds of cases you would want to have and what kinds of clients you would want to work for. The longer the better. My answer to that Heidi is sort of nuisanced in the sense that when I left Legal Aid, I had an idea of the kind of law firm that I wanted to start. But when I got fired from the plaintiff’s firm, I didn’t have a whole lot of time to start up my firm. So yes, the answer is you can start a law firm in a matter of a couple of weeks. Heidi Alexander: I think that’s a really good point, and especially in terms of those who are at a large firm right now. What I see is – especially in this generation – is no one sticks around anywhere for very long. So even if you start off at a firm one day, you’re probably going to end up as a solo or at a small firm at some point. Ben Carter: There’s that but there’s also just the idea that if your goal is to make partner at a biglaw firm, probably the best way to make partner is to treat your career as a startup and have that entrepreneurial spirit and start generating cases and start making it rain for your firm and that’s the way you make partner. So the same skills, the same activities that would lead to success at a governmental agency or at a biglaw firm are the ones you’re going to need to develop a successful solo practice. Heidi Alexander: That’s a good point and obviously current on topics like technology and what’s new in the field,what’s trending; fixed feeds or flat fees, that sort of thing. Remaining current and having that entrepreneurial mindset, that’s a really good point. So that question of what do you need to actually start off your law firm. You get to that point where maybe you’re thrown into it like you were or maybe you spend the time planning it out. You need to figure out what you need to do in order to start up your practice. So what do you pick out as the top three essential items that you need to have in place before you start off? Ben Carter: I have the smart aleck response and then the real response. Obviously, you need a bank account and a business name and things like that. But the three things that I would say people should really think about is one a malpractice policy. I guess that’s fairly obvious, but you’re really doing your clients a disservice if you don’t get that protection for them at the beginning. Because as a startup, you’re probably going to be doing things for the first time. And I think you may be tempted to take cases outside of your “wheelhouse,” and when lawyers do that they put their clients at risk a little bit. So you have to have a malpractice policy. The second thing I would say is connections and a reputation; let’s put those in one category. When I started my firm, I had worked at Legal Aid for a couple of years and then I had a contract here with a non profit in Kentucky. Literally my job was to go around the state and educate private attorneys on how to defend homeowners from foreclosure. I was very lucky in that I got to present at the Kentucky Bar Association’s travelling CLE program all across the state. So I still receive phone calls from attorneys who saw me two or three years ago presenting at those saying, “Hey, my minister is facing foreclosure. Somebody in my church is facing foreclosure, can I send them to you” or, “I’m helping my mom work out a problem with my dad who passed away and now she’s facing foreclosure.” So I still get those phone calls and I will say that having those kinds of connections and being known in a particular field is just super important. And I joke pretty commonly that I’m lucky in the sense that the kind of work that I do in foreclosure defense is a huge section of the legal market here in Kentucky. There was a time, Heidi, during the foreclosure crisis that 40 to 50% of all civil actions filed in the commonwealth were foreclosures. And aside Legal Aid attorneys, there were not private practitioners who knew how to help people with loan modifications and knew how to raise counterclaims to the foreclosure effectively. So again, I saw that opportunity to help people and make a little bit of money. It turned out to be a really good business model – not that we’re making a ton of money at Ben Carter Law – but just that there was an unmet need at the market as a result of the foreclosure crisis and people didn’t know what to do. So I doubt that if I was just a standard civil litigator or I represented businesses, I would have nearly as good a practice as I do now. Heidi Alexander: Do you have a third? Ben Carter: My third is a computer and I say that because seriously, when you’re thinking about what it takes to start up a law practice – I talked to some law students the other day – the good news for young people and anybody thinking about starting a law practice is it’s never been easier to start a law practice in terms of the actual startup costs. It used to be that you might need a secretary to take dictation and a receptionist and all of that. And consumers of legal services now don’t expect that kind of infrastructure from their attorneys. They’re happy to deal directly with the attorney, they like it when their attorney picks up the phone. And so when we explain to people that not having a paralegal and not having support staff helps us keep their costs low, they appreciate that. So with a computer, with a black and white printer and a malpractice policy and access to some legal research tools, you can have them going concerned for very little money. Of course, the bad news for people graduating from law school is they’ve never had higher debt loans. So whether or not they can afford to start up their own practice is a separate question. Heidi Alexander: I like that advice on making those connections upfront and establishing the reputation in your field. It does sound like you in particular did some of that market research that I would probably say would go into a business plan. I know you said maybe you don’t need a business plan, but some sort of road map or some sort of guide I think is helpful. So clearly, you found your niche and you found there was an area in the market that needed legal services. And I think that’s really important and I think people need to see that before they make that jump as opposed to just becoming another attorney that practices in a certain area when there’s so much competition right now. Ben Carter: We’ve gotten away with a lot of stuff in our practice and I actually have an associate now. But our business has grown despite not doing a lot of the things that we should have done. We don’t advertise, we don’t have a business plan. I did do a lean canvas for sort of my own benefit a few months ago and I found that exercise to be useful in how to reduce your risk inventory. And I can put a link to my lean canvas article in the shownotes so people can access that. But again, because there’s no competition in the area that we’re operating in, we have gotten away with not having that business plan, not doing everything exactly right as business people. The demand is just very high and there aren’t many attorneys who can do what we do. I say all the time, I don’t understand how people who aren’t able to charge people a few hundred dollars for a retainer but instead are selling a hamburger for $6, how do they make a business work? Because we’re lucky in that we can charge people for our time and also the overhead is relatively low. But again, we’re just barely making it despite having high margins and low overhead. Heidi Alexander: So speaking of costs, if you plan to open a law firm you have to remember it’s a business and that means you have to have a good understanding of your expenses in order to actually profit. So what do you say to someone who’s starting up in terms of how much they need to put aside for that first year and how do you really figure that out? Ben Carter: Because we have a podcast about starting a law firm, we do get this question from people who listen to the show and they say this exact question, “How much do I need to set aside?” And it really varies from person to person. How much student loan debt do you have? Can you put that on income based payments for a while? Do you have any children? Do you have a mortgage payment? In other words, how much you need to set aside depends not only on what your business costs are going to be but also depend on exactly how much money you need to bring home each month. So it gets very personal very quick when you’re making these calculations. What I’ve done and what I think is a useful exercise for anybody thinking about doing this is sort of creating a spreadsheet that helps you figure out what your monthly budget is for both personal and professional expenses. And then after paying taxes, helping you figure out how much you need to make at your business in order for everything to trickle down so that you’re making what you need to make in order to pay your kid’s private school education, pay your student loans, pay your mortgage payment and still put gas in your car. So, Heidi, when I started my practice – again – I started it after getting canned from my other job. And I was living at the time with a friend of mine after getting a divorce. So in some ways, I started my practice in the exact wrong way that I started it in with two weeks notice and without much of a business plan. But at the same time, my monthly expenses were my friend saying to me, “Look, if you want to pay me $500 a month rent, you can. But if you don’t want to, that’s okay too.” So my monthly expenses were pretty much how much I spend at Trader Joe’s and the $8 a month for the Squarespace site for my website and my malpractice policy and Westlaw subscription. So again, we got away with starting up a business not the way you’re supposed to mostly because I had a good reputation in the community in an area of law that there was a demand for legal help and my monthly expenses were like $700. Heidi Alexander: That’s a really nice living situation, I think I might need the name of your friend. Ben Carter: He was a very generous guy. Heidi Alexander: And I apologize because that was really a trick question. I get that question all the time too and people always ask how much will it cost me to start, can you give me a sample budget. But I agree, it’s a different assessment for everyone and it’s a matter of looking at your own personal expenses and what you need to make in order to live. And then you need to figure out from there how you’re going to do that, how many clients you need to get in the door each month and what that translates into in dollar amount. So really a good point there. Let’s take a quick break here. Stay tuned everyone, because after the break, we’re going to have more advice on best practice with starting up a law firm. Jared Correia: Not getting enough cases from the internet or the kinds of cases you want? Scorpion can help. Over the last 15 years, Scorpion has helped thousands of law firms just like yours attract new cases and grow their practices. During this time, Scorpion has won over a hundred awards for its law firm website design and online marketing success. Join the thousands of law firms which partner with Scorpion and start getting cases today. For more information, visit ScorpionLegal.com/podcast. Heidi Alexander: Welcome back to the second half of our show with Ben Carter, solo practitioner and co host of Let’s Start a Law Firm podcast. So now that it’s incumbent upon attorneys to have competency in technology according to the new ABA Model Rules, today’s new law firm must incorporate technology. So keeping in mind a budget, what technologies do you invest in upfront? Ben Carter: For me it was pretty simple. The first thing I bought was a scanner. If you’re not using the Fujitsu Scansnap scanners already, you need to take a look at those and buy the most expensive one you can. And I think the most expensive one is the i500. It’s $400 or $500. It’s an automatic feed. It eats up 50 pages in one scan, scans double sided, it can do OCR, and it’s sort of the thing that we use to keep our hipster law practice paper free and having that clean, modern look that everybody wants to have. So I joke, but the scanner really is essential. When I started my firm it was really important for me to be able to enjoy working from wherever I was. So whether I’m at home with a sick kid or whether I’m at the office or travelling with my family, I have access to everything on my computer because we’ve already scanned it in. And I just think that that’s essential for me. There are so many crumby things about being in business for yourself but the reason why so many people do it is to enjoy the flexibility that working for yourself allows. So if you’re tethered to paper files that you have to go to your office in order to do your job, you’re missing out on a big benefit of being in business for yourself as a lawyer. Heidi Alexander: And then you do a Cloud based product to actually store your files online? Ben Carter: We use Box to share the files so that Josh and I both have access to the same synced files. Yes. Heidi Alexander: Okay. And how about in terms of phoneline? Do you have a landline? I assume you don’t, I assume you have a Voip line. Ben Carter: What we do is the phone number on our website rings directly to my cell phone through a Google Voice number. And so I’m basically the intake for our firm. Josh will use his iPhone to make calls to existing clients, but we don’t even have Voip yet. We’re looking to hire a paralegal. We may invest in some more conventional phone system, but right now we’re just cell phone based. Heidi Alexander: That’s typically what I see too. Most practitioners starting up using the Google Voice and even the free Google Voice option. And I know you’ve done some podcasting on another topic which is physical office items and I know you like that. You’ve got a whole file system and you’ve done some typography. You’ve got some interesting letterhead. So what about physical office items? Do you have any suggestions for those? Ben Carter: Sure. Again, the Fujitsu ScanSnap is great. We use a black and white printer and when I was designing a logo for my firm, let me be very clear: you should have a professional graphic designer design your logo. So when I was working with the professional graphic designer, I said, “Can we get a logo that would look good in grayscale so that we don’t ever have to have special paper printed out or something like that?” So we just use a black and white printer at the office and that’s never been a problem. The other thing that I would recommend to folks, two other physical objects to consider – I made two splurges when I started my firm. One was the complete library of the National Consumer Law Center’s consumer law books. So that’s like a 16 or 17 volume set. And the other thing I invested in was a standup desk. Now Josh has a standup desk as well. And for me it was mostly about avoiding taking a nap at the 1 o’clock hour after you’ve eaten too many burritos for lunch or something like that. But again, it’s just one of those nice things to have. You’re in your office for 8 to 10 hours a day most days, and I think it’s worth making those investments upfront on the kinds of things that will make work life nice. So I don’t know whether that’s a recliner for you, an ergonomic keyboard; whatever it is. Give yourself reason to splurge on some of those items you’re going to use all day every day. For example, we both use big computer monitors. I have one of those Apple External Thunderbolt monitors and it’s great. Why wouldn’t you get the highest resolution monitor in the biggest canvas that you can in order to do your work better? So I would say splurge on those things that you’re going to be looking at and standing at or sitting at all day everyday. Heidi Alexander: And can I ask what brand stand up desk you’re using? Ben Carter: I got the Geek desk but I bought Josh a different brand and it’s just as good. I would just go to Wirecutter.com and go to standup desk. I think his was $600 or $700 and it’s got preset settings for up to 4 different positions. So you can have a standing and a sitting programmed for two different people. And again, the quality is very good. Whatever Wirecutter recommends is what we got for Josh and it’s dynamite. Heidi Alexander: We have a couple of those in our office, I think they’re using the Varidesk. And I actually built my own standing desk out of a few office materials that were laying around. But the Wirecutter website is a good one for that sort of thing. Ben Carter: Do people just call you MacGyver now around the office? Heidi Alexander: Exactly, yes. Exactly. So clearly it’s a lot of work to start up your own law firm. So I’m wondering if you have any tips for out audience in terms of what you’ve learned from your own experience or from your podcast to make things easier in that first year. Ben Carter: The first thing I would say is try to make your first year of solo practice not your first year of practicing law. If you have the opportunity to go work somewhere else as a young attorney, do it. No matter what amount of money that law firm is paying you or that governmental agency is paying you, the experience that you’re going to get is going to be more valuable than the money that they could pay you. Again, I never would have known how to defend someone from foreclosure. I would have never known that consumer law even existed if I didn’t take a job at Legal Aid. So that experience is what opened up my eyes to the idea that I might want to start up my own law firm one day. And it gave me both the substantive understanding and also the marketplace understand of what kind of marketplace there might be for these kinds of cases. For example, Josh and I both got our start at Legal Aid. And now we are essentially doing cases that most attorneys think are only cases for Legal Aid, that you can’t make money doing. We’re trying to do that for profit. And yeah, it’s super hard and sometimes we feel like an accidental non profit. But at the same time, we got that experience by starting out somewhere else and helping people at Legal Aid, helping people at the public defender’s office. Or if you have an opportunity to go work at a law firm, have somebody else pay for the subject matter experts. Expert witnesses are super expensive and if you can have the firm that’s writing your paycheck also be the one that’s hiring the expert to defend your client, do that. Learn how to communicate with experts and identify experts and learn how cases are defended and prosecuted somewhere else first. So that would be my first tip for the first year is don’t let that be your first year in practice. The second tip – and this was something that was just passed on to me by one of Kentucky’s best consumer lawyers, Ellen Friedman. She said in that first six months, because you’re not going to have a full plate, you’re going to be tempted to accept everything that comes in the door. Don’t do it. And so to boil that down, let me just say, say no to so much. Like Nancy Reagan said, just say no. It is more important to say no to cases that are going to go nowhere than you say yes to good cases. I can’t emphasize enough. And again, you will only know what cases to say yes to if you have some experience in the legal field. As a first year out of law school person, you’re not going to be able to know whether a case has value or doesn’t have value. So that’s why it would be good if you can to get a job somewhere else for a few years first. Even if it’s going to chafe you, even if you know you want to start your own law firm, even if you’re a serial entrepreneur or whatever, you’ve got to let somebody else give you that experience on the frontend. So say no to so much. At my firm right now, I feel like we’re operating at 100% capacity and I had having that feeling. Ideally we would be at 90% at all times so that when another attorney calls you up and says, “Hey, I’ve got a client that I want to send over to you,” and it turns out that client has the best foreclosure or abuse case you’ve ever seen, you have the resources and time and energy to say yes to that and prosecute it the way it needs to be prosecuted. And again, just say no. Just say no to almost everything. Heidi Alexander: Saying no obviously is going to help you actually make some money. But it’s also going to help you stay out of trouble which is something you certainly don’t want. And I see that in my practice because I have worked with a number of attorneys who have been disciplined. And finally, do you have any good resources that you can point our listeners to for starting their own practices. Obviously we can name your podcast as one of them, Let’s Start a Law Firm. Anything in particular that helped you out when you started? Ben Carter: A couple of things, and neither of them are specific to the legal profession. Getting Things Done by David Allen. I read that book in 2008 and it sort of gives you a system to live by. That sounds cheesy but basically what David Allen does is gives you a way of thinking about the projects and commitments you’ve made to other people or to yourself and rigorously applying sort of next actions to each of the projects. And then categorizing those next actions by the context in which that can happen. So for example, if I receive an email from a potential client, that goes on a list of work phone calls that I need to make under my phone call list. And I have a separate list for actions that I can only do when I’m in front of a computer. Actions I can only do when I’m talking to Josh. Actions that I can only do when I’m actually at the courthouse. So Getting Things Done is just a really great system. And the earlier that you can implement it in your life the better because it helps you personally, it helps you professionally. And what it does for me Heidi is because you are tying what you’ve said yes to to next actions in your daily life, it helps me say no to things because I’ve got a working list every single day of all of the phone calls I need to make, all of the briefs I need to write, all of the motions I need to respond to. All of the advertising things, the lunches I need to have. All of those things that I’ve committed to doing, I’ve got a physical list that I create in Omnifocus – which is a great Mac application that I would recommend people check out. I’ve got a physical list of all of the things that I’ve said yes to. And when you’re faced down with a four page list like that in tiny print, it’s pretty easy to say no to a potential client because you don’t even have the time to do the things that you know you need to get done today. So Getting Things Done, and the other side of the Getting Things Done coin is a podcast that I listen to from episode one, and I would recommend starting at episode one called Back To Work. It’s a podcast with Merlin Mann and Dan Benjamin that basically, Merlin is known as a, “productivity guru.” That’s a term that chafes him and he’s a lot more than that I would say. But essentially got his start in blogging about tips and tricks to be more productive. And he’s evolved into something much more than that over the years. But that podcast is really about taking an inventory of your psyche in terms of what’s hanging you up in getting your work done. So it’s much more of a psychological investigation into workflow. It invites you to investigate the frictions in your own psyche that would keep you from either enjoying work or doing good work or being able to work well with other people. So things like that imposter syndrome, things like addiction or things like that. They explore those topics in a way that allows you to move on from that and enjoy your work. Heidi Alexander: And you forgot to mention that the podcast is actually very funny as well. Merlin Mann is a character. Ben Carter: Thank you for saying that, thank you. Even if you don’t enjoy the subject matter, you probably will enjoy the personalities. Certainly that’s the way it’s been for me is even if they’re talking about something that I don’t really care about – like comics, for example – just the give and take between Merlin Mann is great. Heidi Alexander: Yes, it’s true. So those are two very good resources, I’m always pushing and getting things done on attorneys. I agree. I think every attorney should implement that system; I actually use that system myself. And I’m going to mention one other resource because it hits home for our attorneys in Massachusetts and we actually have a startup kit on our website at MassLOMAP.org and we filtered it by a table of contents, top five questions that folks ask us in terms of starting up. And we’ve got a ton of resources on there so take a look at that. But I am sad to report that we’ve reached the end of another episode of the Legal Toolkit. So I want to thank my guest, Ben Carter, for taking the time to drop by our virtual studio. Ben, if any of our listeners would like to learn more about you and your podcast, how can they go about doing so? Ben Carter: You can go to my website which is just BenCarterLaw.com. You can follow me on Twitter where I retweet Merlin Mann and Dan Benjamin probably too often, it’s @NotBenCarter as the handle. And then you can find a link to my podcast my website but also find it in iTunes by searching for Let’s Start a Law Firm. Heidi Alexander: Great. Well thank you ben and thank you to all of our listeners for joining me for another episode of the Legal Toolkit. And remember you can check out all of our shows any time you’d like at LegalTalkNetwork.com.